Want to save many lives? 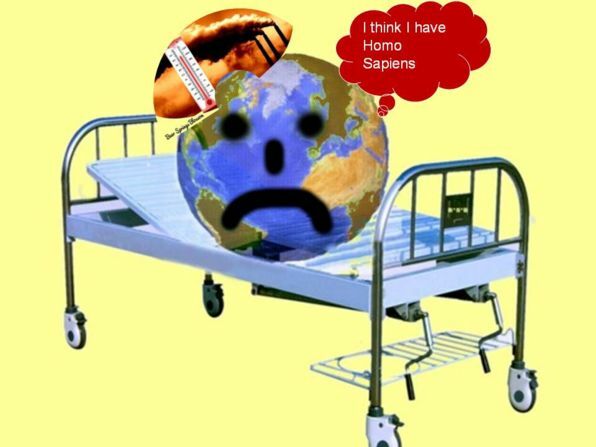 WHY does Earth need a hospital bed? you will see, that something has changed. 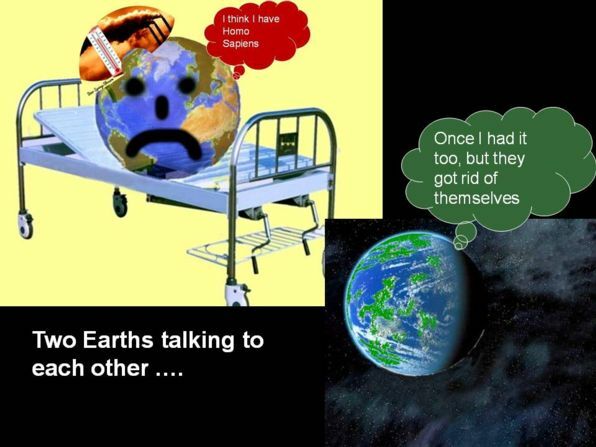 Earth needs many doctors to become healthy again! 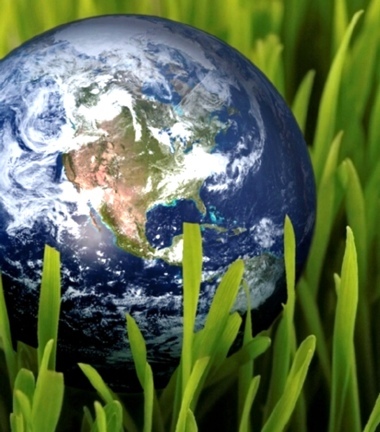 The environmental balance of Earth is severely damaged. Average temperatures North of the equator went above the 2 degree mark!! Life on Earth for humans will change!! Click here to get Climate Change solutions! Earth's air is not healthy anymore! Earth's sea food gets unhealthy! Earth is getting fatter in the middle! Earth's cooling system is disturbed! An unfamiliar, strange look of Earth. 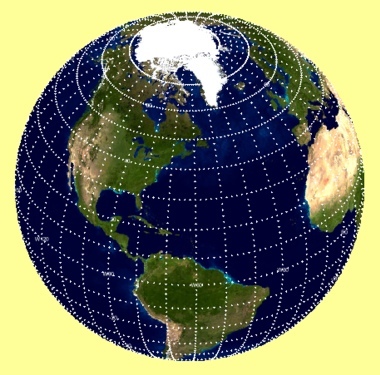 Earth land mass isn't round at all! 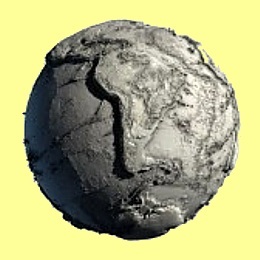 Earth would not look like this! Water made it all possible! 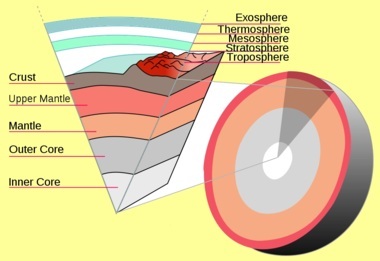 The top layer of Earth has a variety of igneous, metamorphic, and sedimentary rocks. Earth's crust is moving with Earth's tectonic plates, its volume is less than 1% of Earth's volume, floating on the mantle. the higher the temperatures are. This was once plant material, buried millions of years ago. This plant material had collected CO2 carbon dioxide for millions of years. Burning fossil fuels releases this CO2 = carbon dioxide fast, changing patient Earth atmosphere, changing Earth weather, storms, floods. 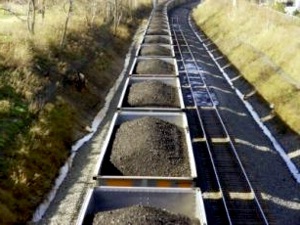 On some coal fired electricity producing power plants, these coal trains deliver this fossil fuel 24 / 7 - day and night! Floods everywhere on Earth destroy the livelihood of billions! 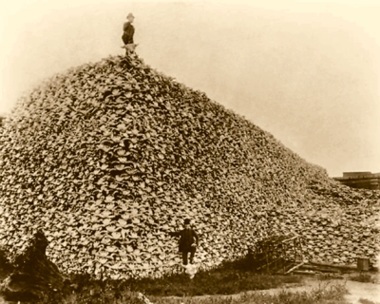 When people killed buffaloes to take away the food supply of native people, morality was killed too. Earth's forests were once home to many species. as a cure for many illnesses. Earth's forests produce oxygen, taking in CO2. Fewer forests provide less oxygen. 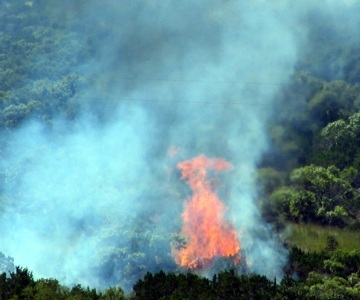 Earth's forests have stored carbon dioxide. Less forests can store less CO2. Burning forests releases CO2 in a short time! Forests� balance and regulate Earth's climate! A Beluga whale, once abundant in Earth's oceans. Look at the 5 fingers of its flipper! CO2 = carbon dioxide, produced by humans. the balanced life in Earth's oceans is endangered. marine life around Earth is endangered! Too many strange chemicals in the air. Too many strange chemicals in the water. Huge amounts of shifting water unbalance continental plates. Too much sulfuric acid kills growth on Earth's surface. Too many trees are cut. Too much carbon dioxide in the air. Heat is trapped. Too many mono cultures, open spaces force strong winds. This is a real ad from an oil company! 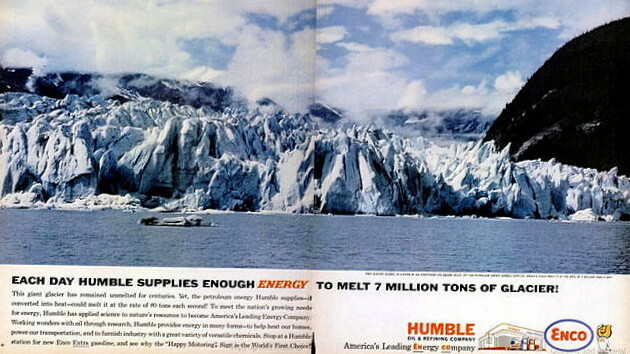 American oil companies were very proud to melt glaciers! many living beings will die! 1) To cure the respiratory illness we should use more Renewable Energy. 2) To balance Earth's climate we need to stop deforestation! we need to reduce the amount of erosion, so less soil is washed into our oceans. 4) To cure the depletion of Earth's resources we need to intensify recycling. To have success with these treatments, we need to convince our societies, that morality has a higher value than greed! Being irresponsible should be outlawed by all generations and societies! Killing people with toxins is immoral! Destroying peoples only home Earth is immoral too! What happens when we don't cure the patient? Symptoms and effects of starvation. Hunger is today a real threat to the world's public health. Malnutrition is by far the biggest contributor to child mortality. Today seven million children die of hunger every year. 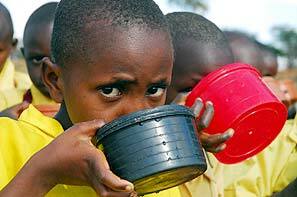 Starvation is a severe reduction in vitamin, nutrient, and energy intake, and is the most extreme form of malnutrition. 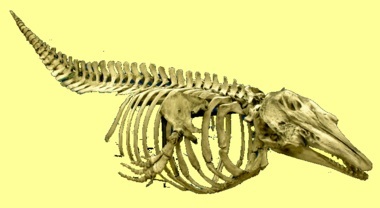 In humans, prolonged starvation causes permanent organ damage and death. The term inanition refers to the symptoms and effects of starvation. If we don't cure patient Earth, undernourishment, starvation, inanition will be a normal condition for life on Earth affecting many of us, affecting billions of people! Act now! Support our fight! tell us your ideas how to cure Earth! Save Earth: update your knowledge + Protect Earth's Environment! Protect Earth for our children! WHY wait? Update your Nature knowledge - Join and get personal advice, have a better life! How do Northern lights look like? Can You hear the voices of the trees? Why should we test Water? What birds live in Central Texas? How to save money with sunshine?